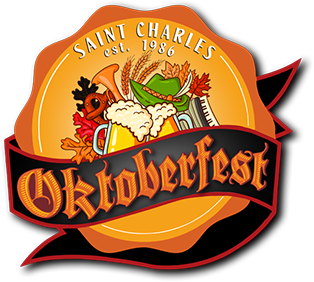 Missouri Germans Consortium would like to take a moment or two and share a few of our wonderful memories of this past year. 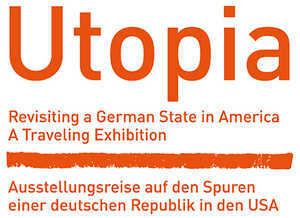 January 2015: The exhibition Utopia – Revisiting a German State in America was open at the Missouri History Museum in St. Louis. 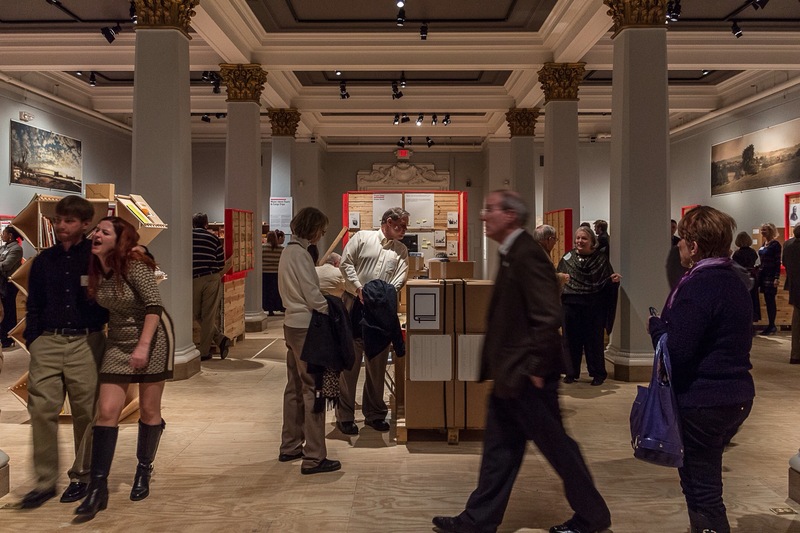 one of the most popular to be shown at the Missouri History Museum. 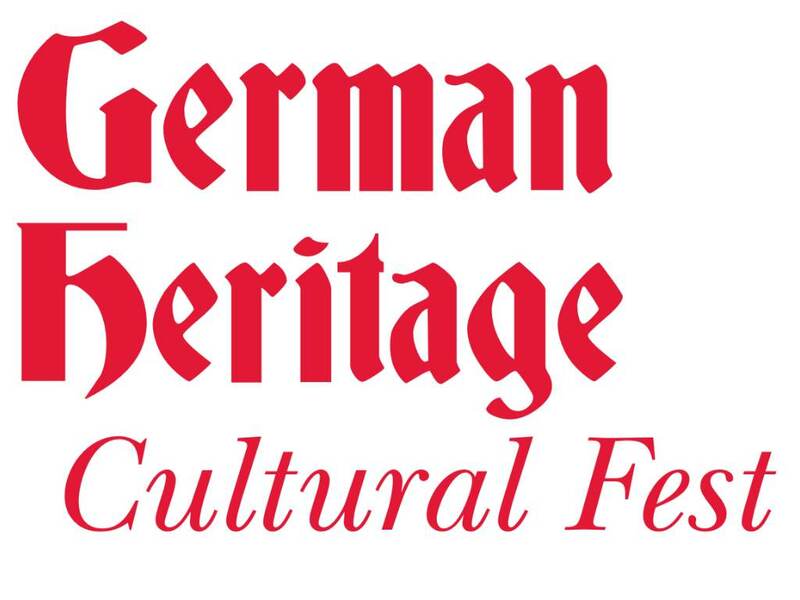 MGC also hosted events for the Descendants of the Giessen Emigration Society and the German Heritage Cultural Fest, which featured German groups from all over St. Louis. We hosted teacher workshops for those great educators who bring German into their classroom every day, and keep the culture alive for young people. In January, our quarterly electronic Journal Der Anzeiger debuted! 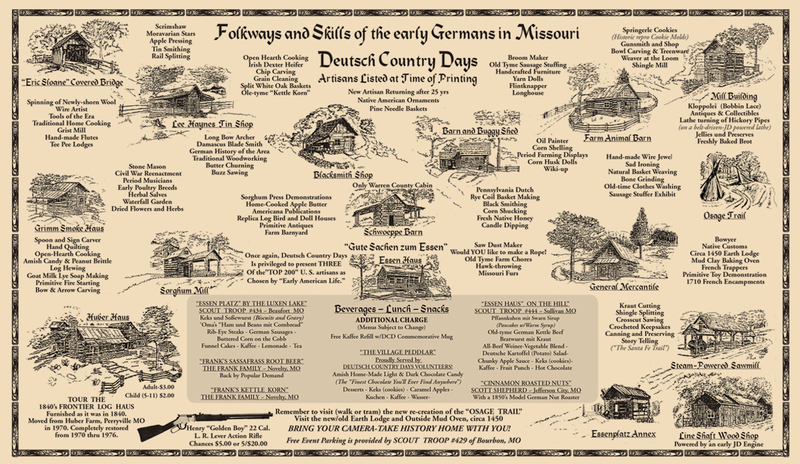 Bringing you stories, and history, filled with wonderful photographs of Missouri and Germany, recipes, and even helpful information for those researching their own German ancestry. bringing the Tandem Guides to St. Louis. 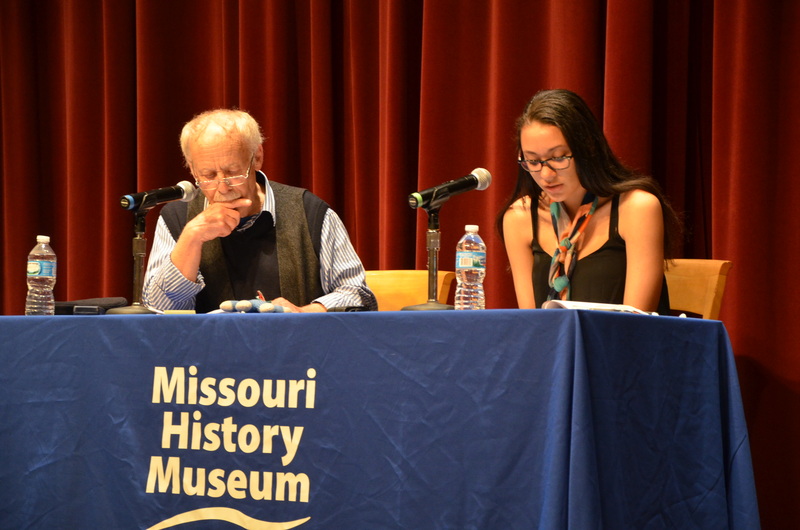 Nine students from Bremen working with the Utopia project worked with the Missouri History Museum‘s Teens Make History providing a fresh young interpretation of the Utopia exhibit. In March, our Executive Director Dorris Keeven-Franke received the Friedrich Hecker Freedom Award from the German American Heritage Society of St. Louis for the promulgation of cooperation and understanding between Germany and the United States. 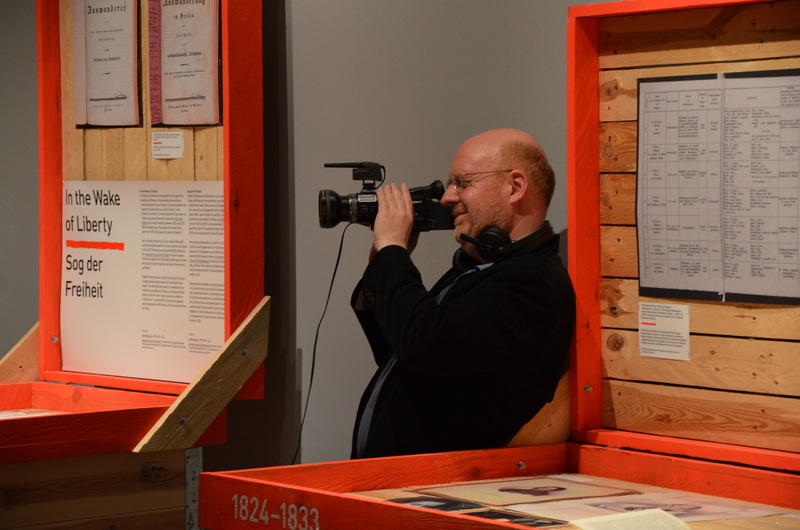 Peter Roloff, Director of Maxim Films in Berlin and head of the Traveling Summer Republic of Bremen. 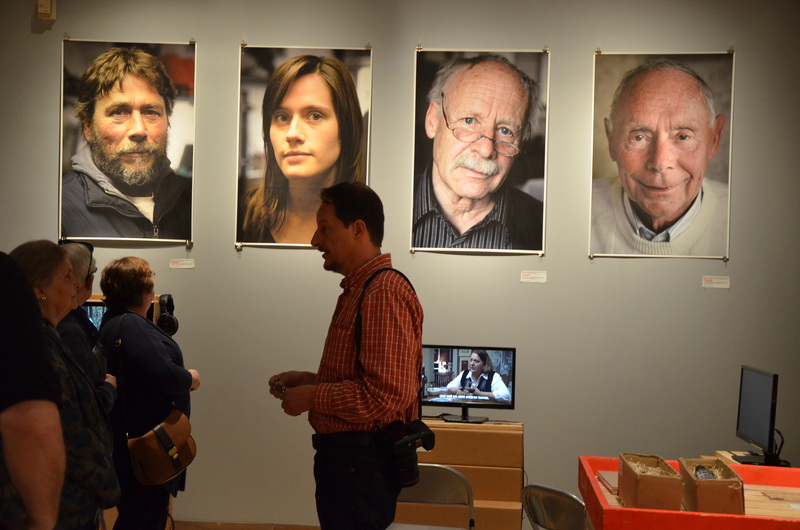 We lost our dear friend Ralph Gregory who departed us in September. Society. 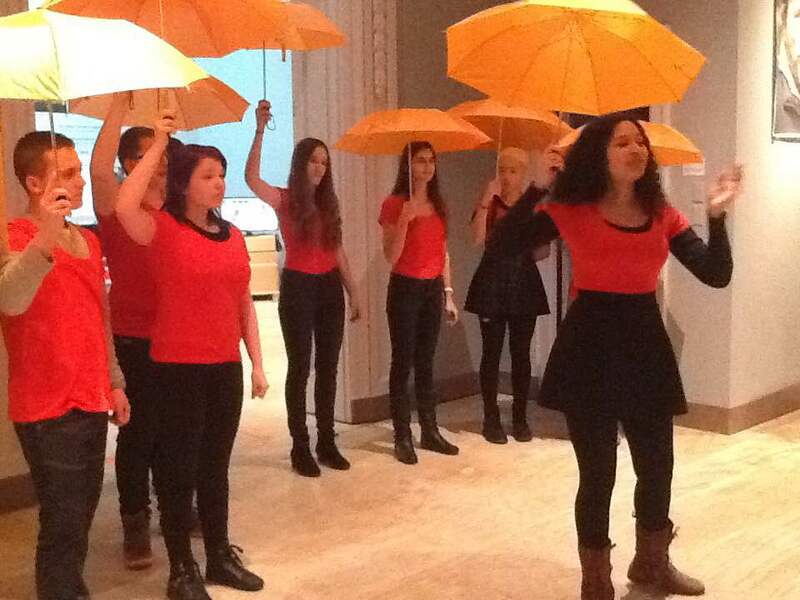 A day was set aside with special events for all Descendants of the Giessen Emigration Society. along the Missouri River. Thousands of German immigrants moved to Missouri in the 1830s, many settling along the Missouri River. An inventory of hundreds of sites pertinent to the story has been compiled. At the National Genealogical Society Conference in St. Charles, MGC Director Dorris Keeven-Franke spoke on Gottfried Duden: The Man Behind the Book and the Giessen Emigration Society. 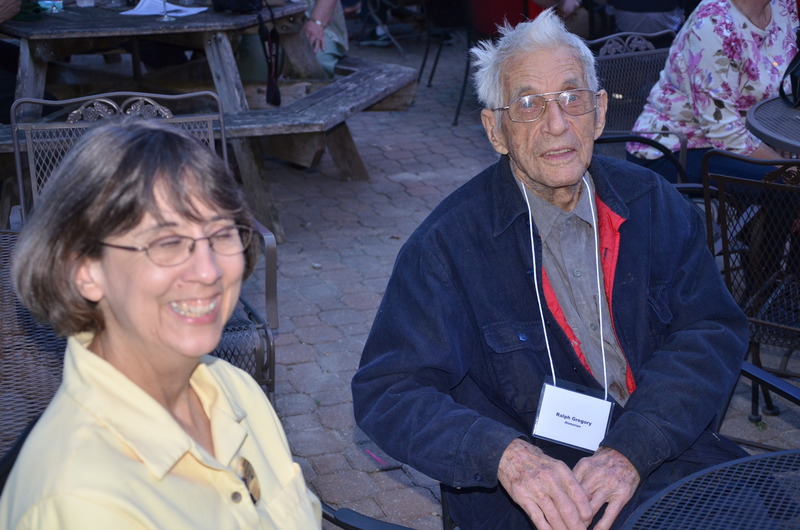 In June, we provided Missouri Humanities Council Director Steve Belko and others, a two day driving tour of the Missouri River and the German heritage sites found in the German Heritage Corridor. The Strehley House at the Deutschheim State Historic Site in Hermann is next to the office of the German newspaper the Lichte Freund . Bus tours along the Missouri River are a great way to discover the Magnificent Missouri in summer! 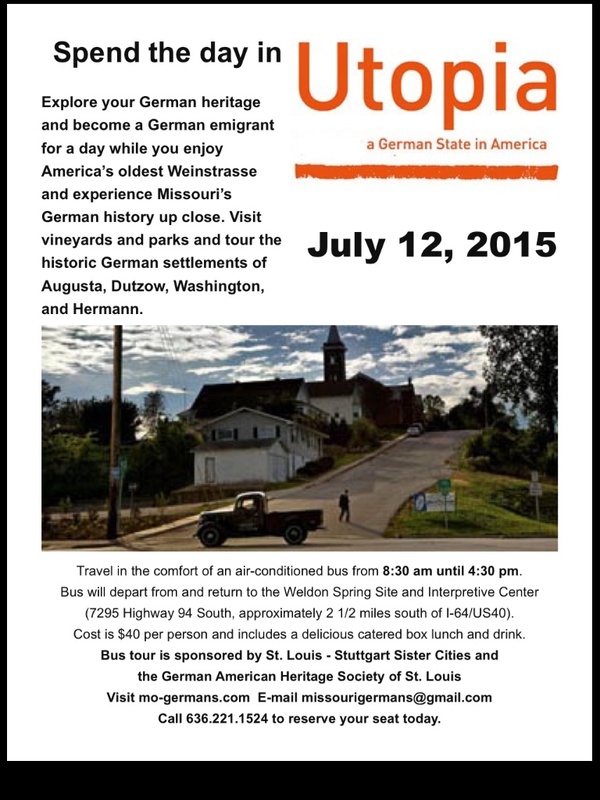 German American Heritage Society of St. Louis providing a bus tour for the public of various sites along the German Heritage Corridor, including Dutzow and Hermann. Council‘s German Heritage Corridor and speaking at a book signing of the book Utopia in the German Cultural Tent. Deutsch Country Days at Luxenhaus Farm in Marthasville where we shared the German Heritage Corridor, and the Missouri Association for Museums and Archives Conference in Columbia where we spoke on the International Exhibition Utopia, and a program for the Maplewood Public Library Missouri Where the Sun of Freedom Shines. 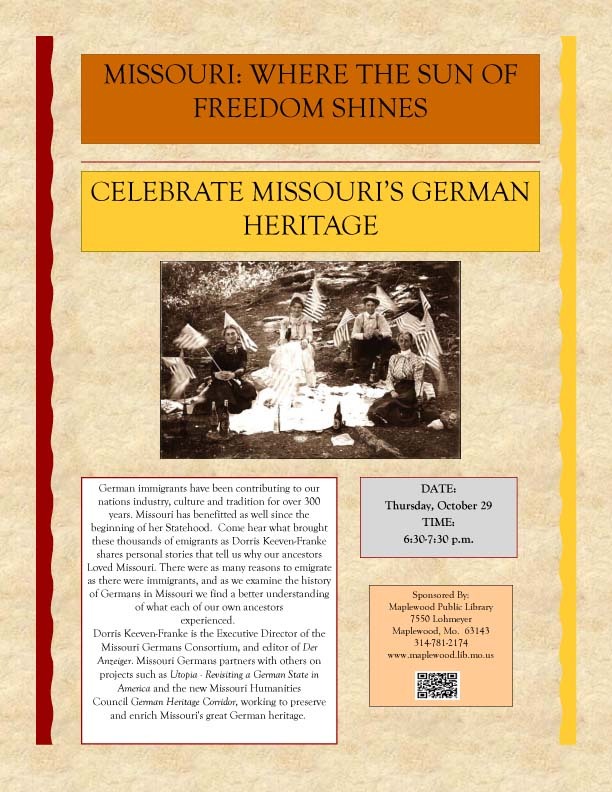 In November, we presented a program on the German Heritage Corridor for the Friends of Arrow Rock and another for the Friends of the Missouri State Archives on the Giessen Emigration Society and the traveling exhibition Utopia. 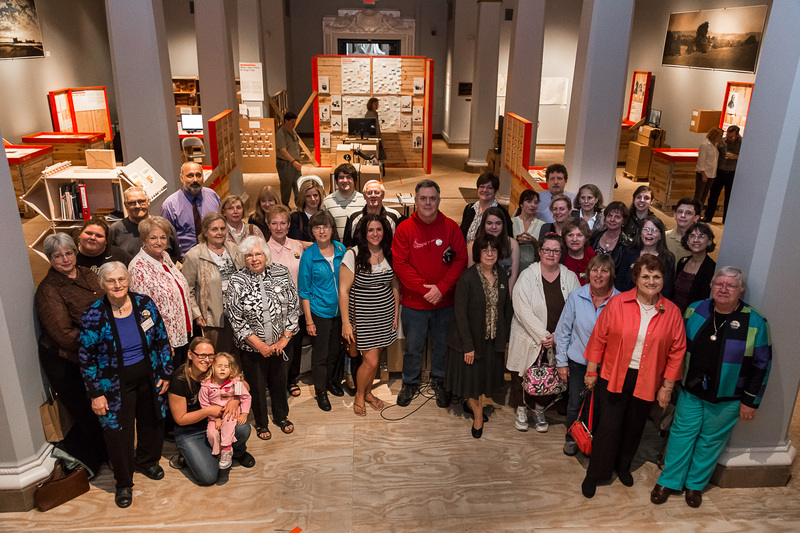 In December, we joined the St. Louis Genealogical Society for their Annual Book Jamboree and signed copies of the book Utopia. We thank all of our partners, and everyone who attended our programs, followed our blog, joined our tours, subscribed to our journal or participated in any of our various activities. You helped make this the best year ever for the Missouri Germans Consortium! Thank you! Stay tuned for a fantastic 2016!